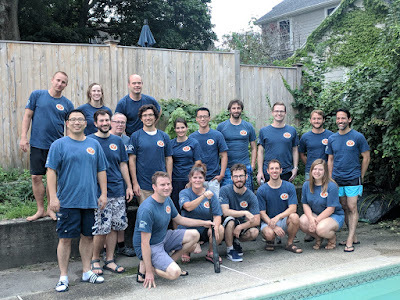 The Tufts Organization of Graduate Students in Mathematics (OGSM) is an AMS Graduate Student Chapter and Graduate Student Organization at Tufts University, founded in 2009 with the purpose of providing a representative body for graduate students in the Mathematics Department. For more information, see the About Us page. The most recent qual questions and graduate student handbook can be found in the Resources tab, along with qual request deadlines and much more. The calendar for upcoming meetings, department happenings, and social events. Our YouTube channel for videos of past speakers, candidacy exams, and Pi Day competitions. The OGSM Constitution and Operational Procedures for the organization's bylaws. Site for our peer-led teaching workshop for Fall 2017.